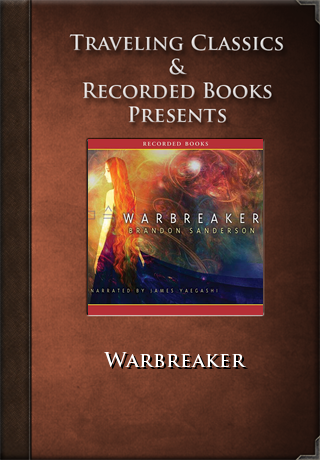 This application contains a professional recording of Warbreaker -- wrapped in a beautiful and elegant player to create an immersive and enjoyable audiobook experience. An author whose previous, wildly successful novels have earned him a reputation as fantasy's master of magic, Brandon Sanderson continues to dazzle audiences with this tale of princesses and gods. In this extraordinary world, those who attain glory return as gods. And those who can master the essence known as breath can perform the most wondrous miracles, or unleash the most devastating havoc. 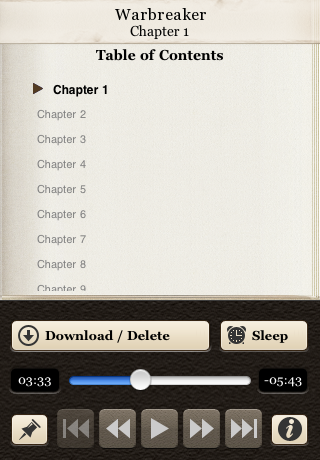 - Notes - Allows you to write down thoughts as you listen and email them to yourself or friends.